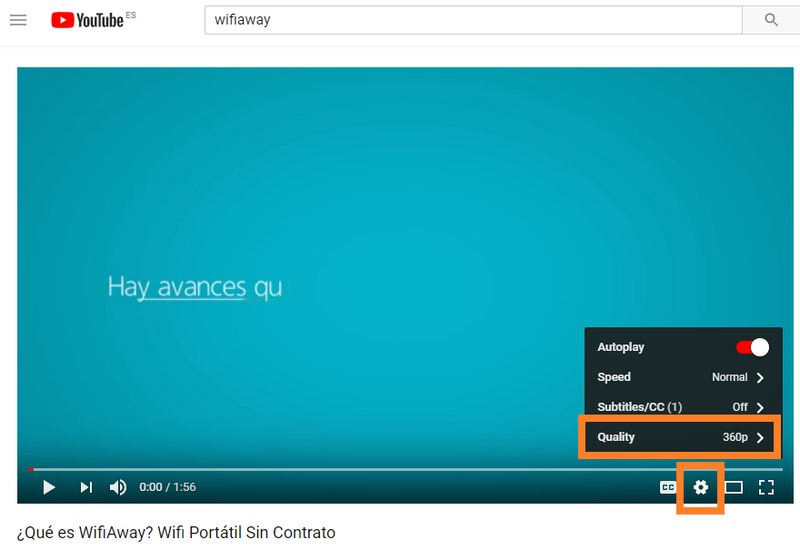 Cómo ahorrar datos en Windows con WifiAway. In WifiAway, as you know, we offer Portable Wifi with large amounts of data. 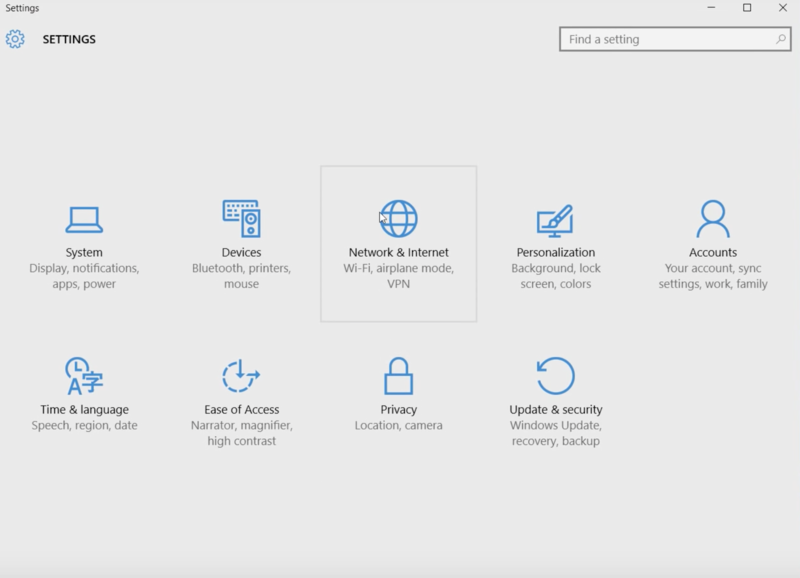 For most uses, the data we offer is more than enough, but if you still think that you can be a bit short, or you think you can watch a lot of video from your connection, here are some tips on how to save data if you use WifiAway from a Windows computer. Soon we will write other posts that you have with other operating systems. The first thing is letting Windows know that the wifi is a metered connection. You will avoid many of Microsoft updates. Select Start> Settings> Network and Internet> Wi-Fi> Manage known networks. (or press the little Wifi icon in the taskbar, click on the net, and click on properties). Select the Wi-Fi network> Properties> activate the option “Set as metered connection” option. In other versions of Windows you can do something similar, search Google “Set as metered connection”. How can I spend less data with Netflix? Disable automatic playback of the next chapter. If not, you can leave Netflix sucking data all night. They tell you how in this link: How can I prevent the next episode of a show from playing automatically? Reduce the quality of the video. In this blog, they explain it very well: How to control how much data Netflix uses? -Remember that the lower quality you select, the less data you will consume, and in many cases it goes unnoticed. Keep in mind that even in low quality, the video will always spend a lot of data. Monitor how much you spend (look for our advice in the first e-mail we sent when placing the order). How can I spend less data with YouTube? When using Youtube, you can select the quality of the video to be lower. You should do this whether you use it to watch many videos, or you use it to only listen to music from Youtube. Mainly you have to click on the little nut and change the quality, to lower it as much as we can without this getting annoying. Do not leave it in “Auto, because our connection is very fast, so the video will be downloaded in the best quality. Choose a quality as low as possible (360p, for example). You can try now with WifiAway’s video. Massive Streaming or Video downloads/ Torrents (movies or series, not just a few minutes of YouTube). Video Skype / Facetime (consumes 1 Gb per hour approximately – you can skype some time, but take that into account). Backup programs/ security copies (like Dropbox) if you are creating / downloading many heavy files. Sharing the connection with friends who have not been connected for some time. When they connect, their applications start updating and consuming a lot of data. Use streaming devices such as Apple TV or ChromeCast. Letting your teenager nephews to connect. We don’t know what they do, but they consume all the data. ← WifiAway joins the race to Automation: We’ve got Robots!